Through EmpowerOne, individuals with disabilities build the skills and independence needed to be successful in employment and be a real part of their community. EmpowerOne gave Michael many opportunities to learn new skills and decide what he was passionate about. 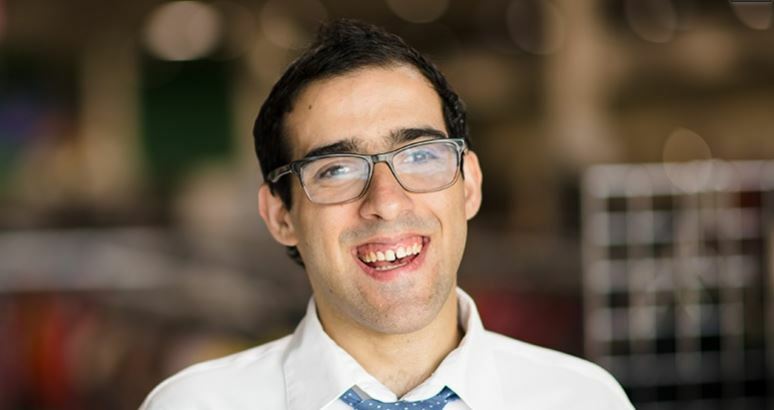 With various volunteer and work experiences on his resume, Michael worked with the Division of Vocational Rehabilitation (DVR) and his DVR Counselor to develop his individualized plan for employment that resulted in a referral to Supported Employment at Goodwill. In conjunction with DVR, Supported Employment provides individuals with disabilities, long-term job coaching and support. Following a successful work trial at the Goodwill Workforce Connection Center (WCC), Michael was hired as a Job Clerk I, where he prints and assembles job recruitment materials, while helping to keep the WCC looking neat and tidy. After observing and evaluating Michael's work, the WCC staff and his job coach saw that he was capable of additional job responsibilities and worked with the WCC manager to add customer registration, intake paperwork and proofreading to Michael's growing job skills. The WCC staff enjoy working alongside Michael because they know they can count on him to stay positive and focused during high-traffic hours. Meaningful work and having a sense of purpose has given Michael a chance to dream big dreams-like moving into his own apartment-and he knows he can achieve them.